Now that the summer is finished and winter is upon us, its time to reflect on one of the best trips the Brighton Anglers Crew has taken yet far. A group of eight of us drove 24 hours straight from Salt Lake City, Utah through Idaho and Montana to the northeast corner of the Canadian Province of Saskatchewan. 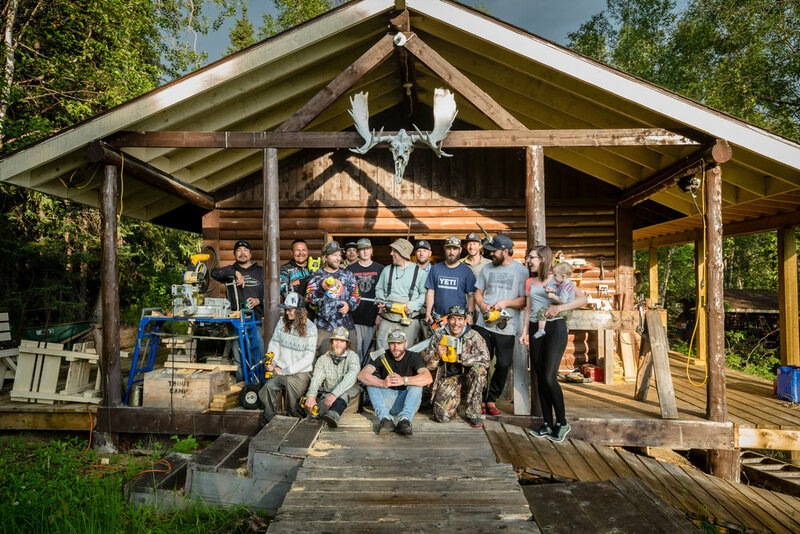 Once we reached Reindeer Lake the General Manager Andy Millward and up and coming guide, Idaho local, Matthew Matkin met us with two boats, helped us load our gear and off we went for the 1 hour boat ride into their remote camp. 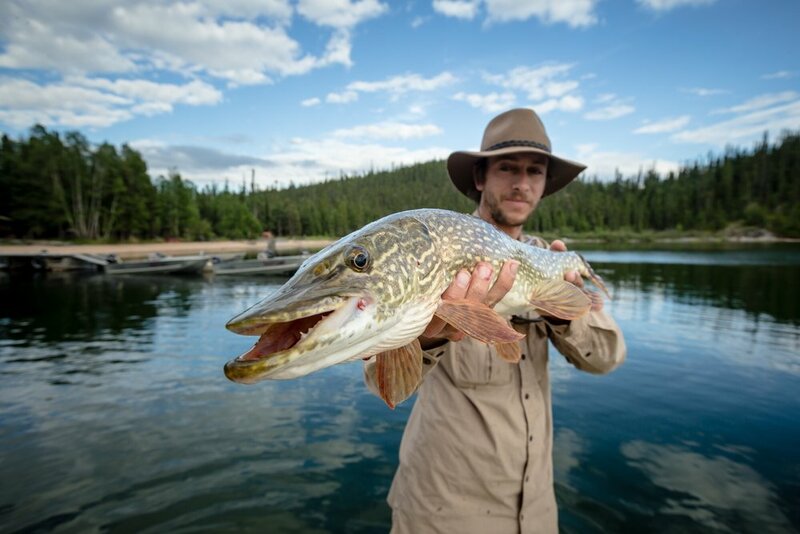 Once there we spent the next week fulfilling our dreams with 40+” northern pike, Shane Grimes might have had fish of the trip with a 50+” Pike, as well as the occasional lake trout. Our nights consisted of talking about our day’s adventure, tying flies, drinking whiskey/beer and discussing our next day’s exploits with Andy and Matt. To say the least this was a trip of a lifetime. But, I am not going to bore you with the details instead I am going to give you several tips to elevate your trip to the next level when you book your week with RL Trout Camp. I know you have been fishing a long time but trust me the locals know the waters and place you in some prime spots. If the first spot or five spots don’t work out they have 100 more with plenty of fish to make sure your trip is a memorable one. This is not a small trout stream folks! You are using an 8 to 10 weight 9’+ rod with some heavy flies. Learn to Double Haul and it will save your arm and increase your distance by at least 25%. 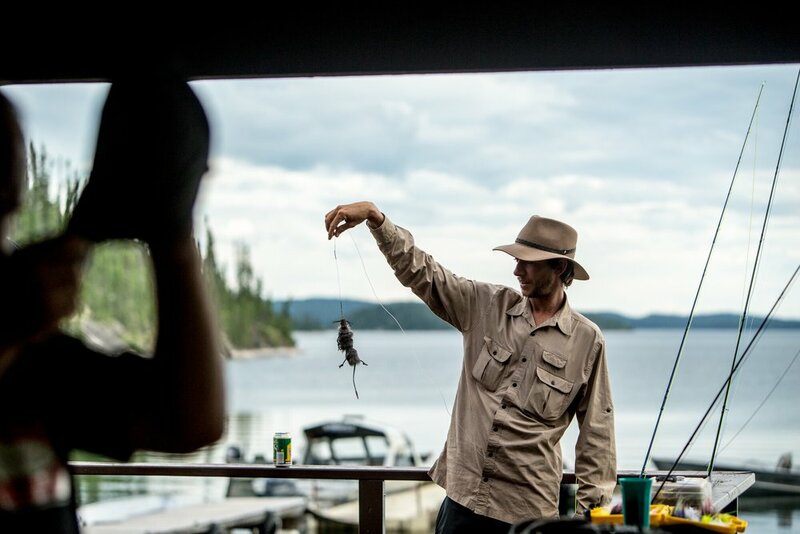 Six inch flies are the norm but Shane Grimes came with a 9”+ muskrat that got plenty of play. Trust me these predatory fish are not scared of size. We caught fish on just about everything from frog and mice patterns to New England streamer flies and yes even a muskrat pattern. Variety is the spice of life at this fishing oasis. 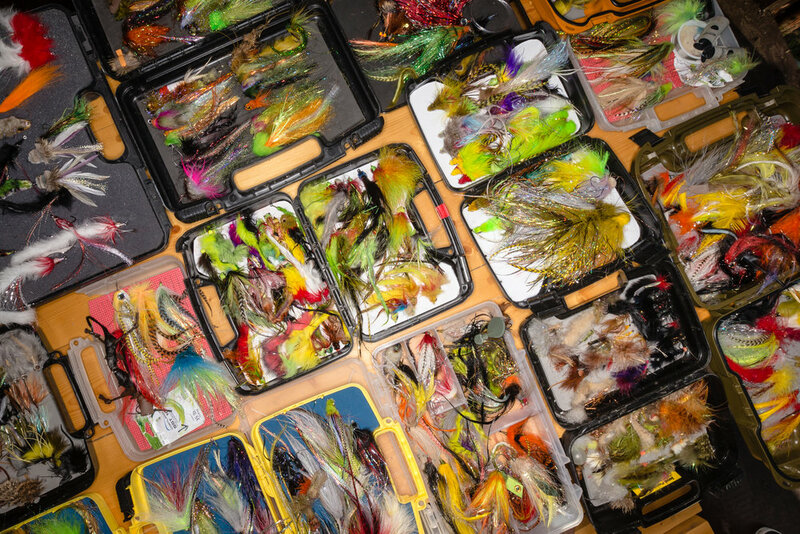 Your quiver of flies will not only get tested on variety these fish will destroy flies and last thing you want to do is run out of that all white streamer pattern because you are a long way from that local fly shop. When you are chucking 100+ ft out all day on top of landing aggressive fish your fingers will take a beating. This helps you protect your fingers and make your trip much more enjoyable. Lil’ Weezy is the very entertaining young son of Andy the General Manager. Sure he will be out fishing us all in 5 years but I found a quick high five before going out the door in the morning increased my fish take extensively plus he is just awesome to hang out with and makes your day that much more enjoyable. If a tree falls in the woods and you don’t take a picture did it really happen? We lucked out and had Sean Kerrick Sullivan one of the best photographers in the outdoor world with us. If you can’t invite Sean make sure you have a solid camera set up besides just your iPhone. Some of these fish you can gloat about for years especially when there is a quality picture on the wall for all of your fishing friends to see. This is a must. I broke several basic metal leaders and lost some great fish in the first day until my boat mate Sean gave me one of these leaders. I honestly did not change it out for the rest of the trip! Always bring a good crew it just takes everything up a notch!